Hello and welcome to Tuesday Cuppa Tea. I am joining other wonderful tea party memes listed at the bottom. Just want to again congratulate Mom Wald who won my wedding anniversary drawing for a Queen Elizabeth II Diamond Jubilee mug. As soon as I get her address, the mug is...in the mail!!!! 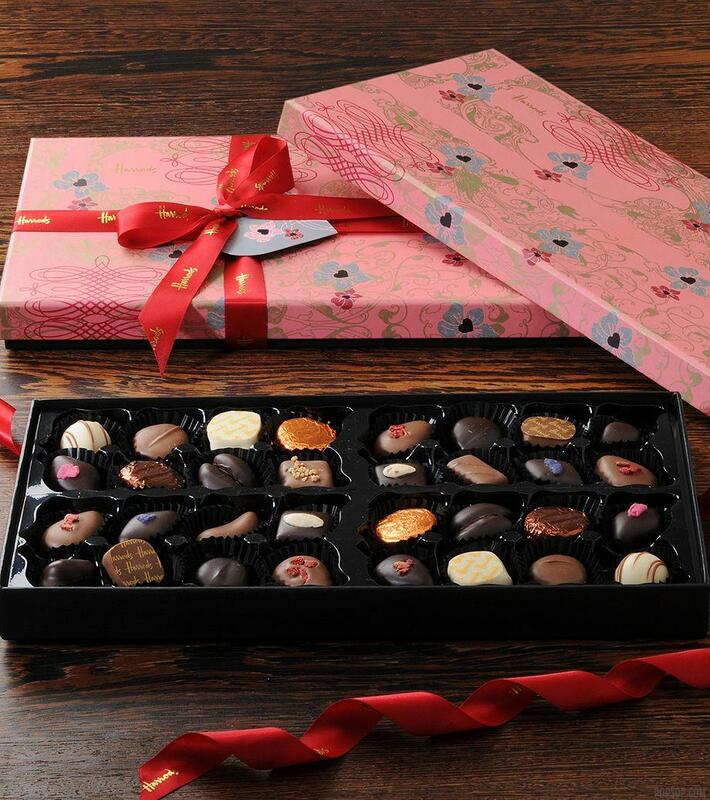 Thanks so much for all of you who signed up to participate in the drawing. I'll be doing another in a month or so. 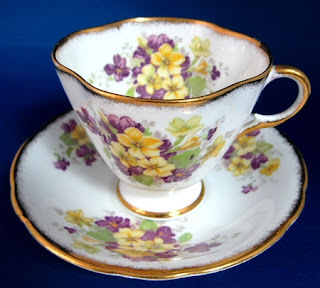 I have spring on my mind, so here is a violets teacup and saucer made by Clarence, England in the 1950s. 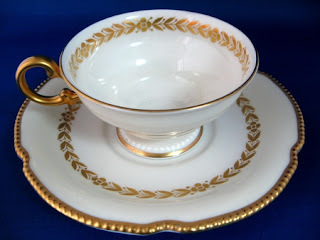 I love the rounded square shape of the cup and the sponged gold trim. 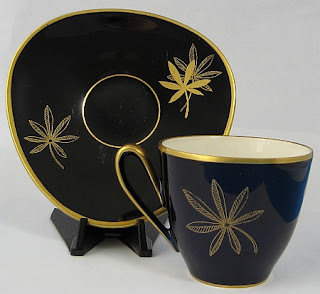 Sponged gold trim was hand applied, and always denotes a more hands on, special cup and saucer design. I love the violets. Ours haven't appeared under the pines yet. We are actually scheduled for a bit of snow today. We even had some earlier today...I think I saw 20 flakes total. At least we won't be shoveling! Clarence China is an interesting company. It was produced at a the Windsor pottery in Stoke-on-Trent by a group called the Co-operative Wholesale Society from 1911 through the 1960s when it folded like so many other potteries. The group was an amalgamation of small potters who banded together and marketed all their offerings under two marks...Clarence and Windsor. The story is that Clarence was named for the Duke of Clarence who had a sponsorship of the pottery and Windsor was named for the works name. 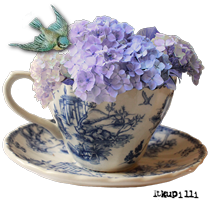 For more info on the violets cup and saucer at Antiques And Teacups, click on the photos. 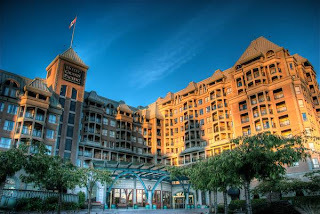 I wanted to report on our 38th Anniversary trip to Victoria, B.C. I hope the photos work put. My travel camera has refused to communicate with my desktop computer, so after I save this as a draft I will change to my netbook where I downloaded them into Picasa and we'll see if I can get them to work. Haven't done it before, so it might be interesting. 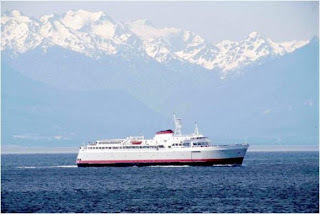 We took the morning Black Ball ferry The Coho from Port Angeles to Victoria, about a 90 minute crossing. It was drizzling, but it IS February in the Pacific Northwest! 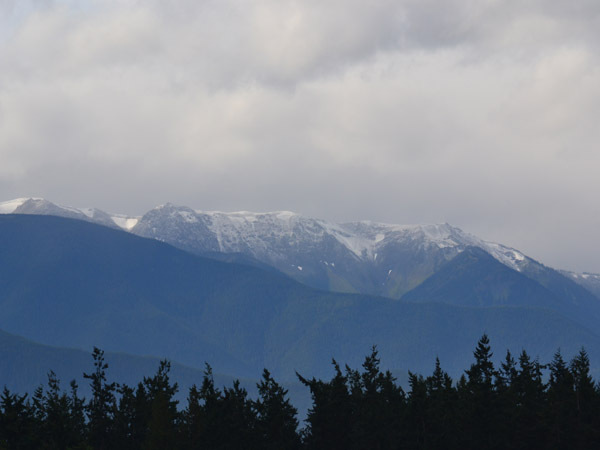 This is what it looked like when we left...drizzling and snow falling on the Olympic Mountains to the south of us. A photo of the Coho on another, nicer day as it was coming through the Strait of Juan de Fuca with the Olympics in the background. Here is my photo of the Fairmont Empress, a block away from our hotel, catticorner across the Inner Harbor. This next photo is from the seawall in front of the Empress with our hotel seen in the back. I am sorry this photo is not better, but with the rain and the fact the statue od Queen Victoria, whom the city of Victoria is, of course, named for faces the Inner Harbour with her back to the sun (what there was of it). In the back is the dome of the Parliament building, as Victoria is the provincial capitol of British Columbia. This is our ferry, The Coho, at anchor by the quay in the Inner Harbour. 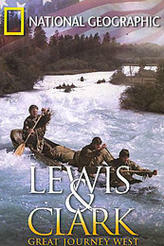 We had not seen the Lewis & Clark and enjoyed it. 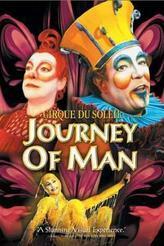 The Cirque production was the first thing we had ever seen by them in 1999. It was great to revisit it. We have been to several Cirque du Soleil productions since in several West Coast cities. We love their productions! Then, a trip to Murchie's Teas. and a wonderful night's sleep, a yummy breakfast and back home on the ferry, having had a wonderful time and special anniversary. Thank you for so many good wishes! 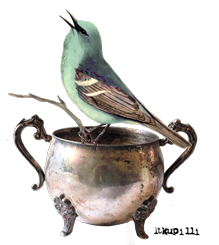 So below, find the linky for Tuesday Cuppa Tea after the list of other tea related blog parties to visit! The winner for QEII Jubilee Mug Drawing...Mom Wald! Hi there. 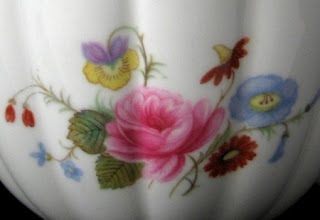 Just a quick note...the winner of the drawing for the Queen Elizabeth II Diamond Jubilee English bone china mug from Antiques And Teacups is...according to Random.org number 16 and that's Mom Wald!!!! 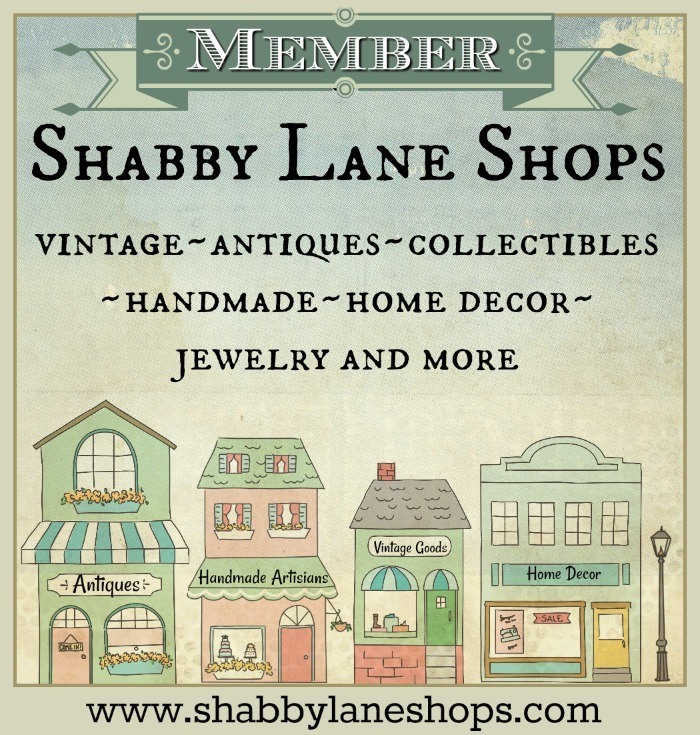 Send me your snail mail address through the store link above for Antiques And Teacups, or convo/email me thru our Etsy store Antiques And Teacups At Etsy! 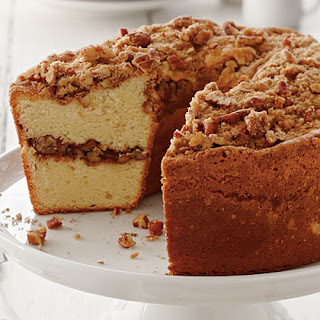 I just found this incredible looking brunch cake or breakfast cake or tea cake or whenever cake from MyRecipes.com taken from Southern Living magazine ...can you tell I think it looks good???? Because I am allergic to milk products (asthma) I figure I can make this by substituting Tofutti soy sour cream for the sour cream, so I am a happy camper! 1. Prepare Pecan Streusel: Combine first 3 ingredients in a bowl. Cut in butter with a pastry blender or fork until mixture resembles small peas. Stir in 3/4 cup pecans. 2. Prepare Pound Cake Batter: Preheat oven to 350°. Bake 1 cup pecans in a single layer in a shallow pan 5 to 7 minutes or until lightly toasted and fragrant, stirring halfway through. Cool 20 minutes. Reduce oven temperature to 325°. 3. Beat butter at medium speed with a heavy-duty electric stand mixer until creamy. Gradually add granulated sugar, beating until light and fluffy. Add eggs, 1 at a time, beating just until blended after each addition. 4. Stir together flour and baking soda; add to butter mixture alternately with sour cream, beginning and ending with flour mixture. Beat at low speed just until blended after each addition. Stir in vanilla. 5. Pour half of batter into a greased and floured 10-inch (12-cup) tube pan. Stir together toasted pecans, brown sugar, and cinnamon; sprinkle over batter. Spoon remaining batter over pecan mixture; sprinkle with Pecan Streusel. 6. Bake at 325° for 1 hour and 20 minutes to 1 hour and 30 minutes or until a long wooden pick inserted in center comes out clean. Cool in pan on a wire rack 10 to 15 minutes; remove from pan to wire rack, and cool completely (about 1 hour). 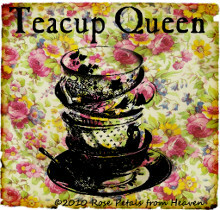 Reminder...Sunday, Feb. 26th is the last day for our drawing for a Queen Elizabeth II Diamond Jubilee mug. Click on the photo above and go down the post to the linky to sign up for the drawing! Good morning! It's Thursday. 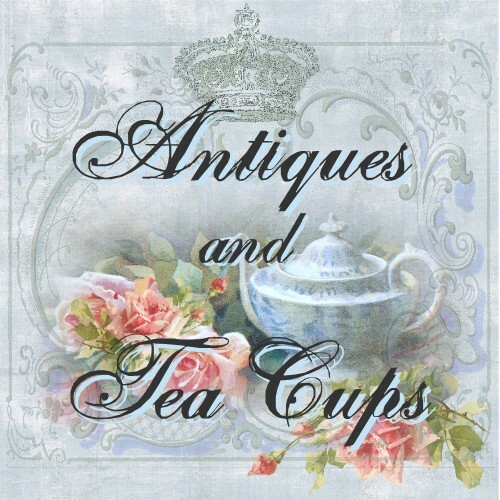 Here is my post for Teacup Thursday with Miss Spenser and Vintage Thingie Thursday with Coloradolady. 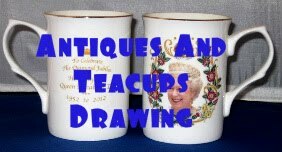 First, a reminder that my wedding anniversary drawing for the Queen Elizabeth II Diamond Jubilee mug ends on Sunday. 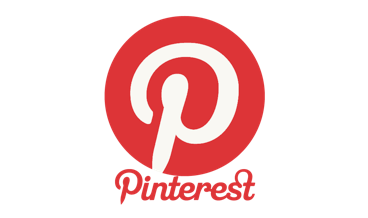 Just click above, go to the post and scroll down to the entry linky. Good luck! It is a beautiful English bone china mug! 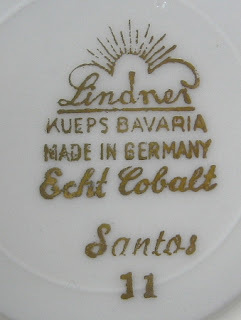 The teacup I have this Thursday is a Lindner, Bavaria Germany retro, mid century design that I love. 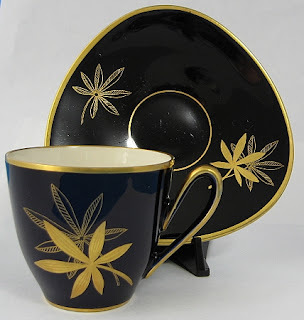 I love the unusual triangular shaped saucer and also the gold metallic decoration. How cool is that??! For more info on the retro cup at Antiques And Teacups, click on the photos. And in honor of the just past President's Day, I found this recipe in our paper for Dried Cherry Scones from relish.com. 1. Combine flour, sugar, baking powder, salt and baking soda in the bowl of a food processor. Pulse to combine. Add butter; pulse until the mixture is the consistency of coarse meal. Add sour cream. Pulse. Add milk, 1 tablespoon at a time, and pulse until dough comes together. Remove from processor. ; divide dough in half and cover each piece with plastic wrap. Refrigerate 8 hours or over night. 3. Place one half of dough on a floured surface. Shape into a 12 inch long log. Place half the cherries on dough, gently pressing them into the dough. Fold in half lengthwise. Cut into triangles and place on a baking sheet lined with parchment paper. Repeat with remaining half of the dough. Sprinkle the tops with the raw sugar. Bake 18 to 20 minutes, until lightly browned. Makes one and one half dozen. 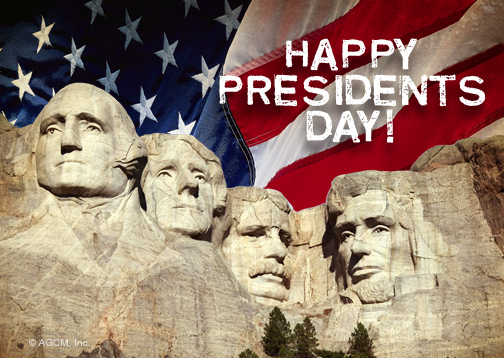 Have a great day visiting the wonderful blogs! I love it! Hello and welcome to Tuesday Cuppa Tea! 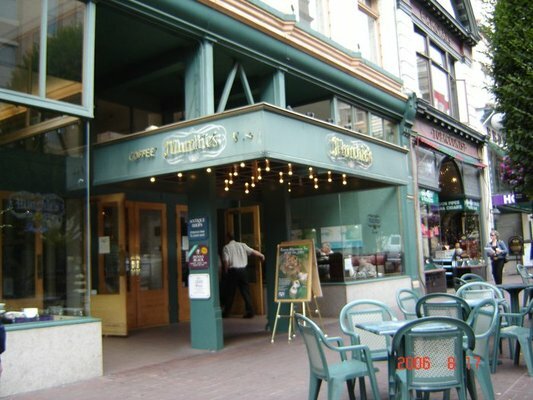 I am behind on comments from Thursday, as we spent 2 days in Victoria, BC for our 38th anniversary. Wonderful! But the photos are yet to come, as my computer is not communicating with my travel camera. Ahhhh....technology! I absolutely fell in love with this teacup at a recent estate sale. I got this teacup and 3 teacup trios. 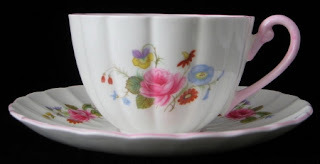 The cup and saucer is made by Castleton China, USA which was actually a subsidiary of the Corning Glass Company, USA. This particular pattern was made in the 1940s when the designs were very reminiscent of Rosenthal China. No surprise, since Castleton welcomed designers from Rosenthal who were displaced by World War II and pretty well turned over the design department to them. The heavy burnished gold handle, beaded rims and gold laurel and flower wreathe design is gorgeous! Luxe indeed! The pattern is called Aria. Neat, huh??!! 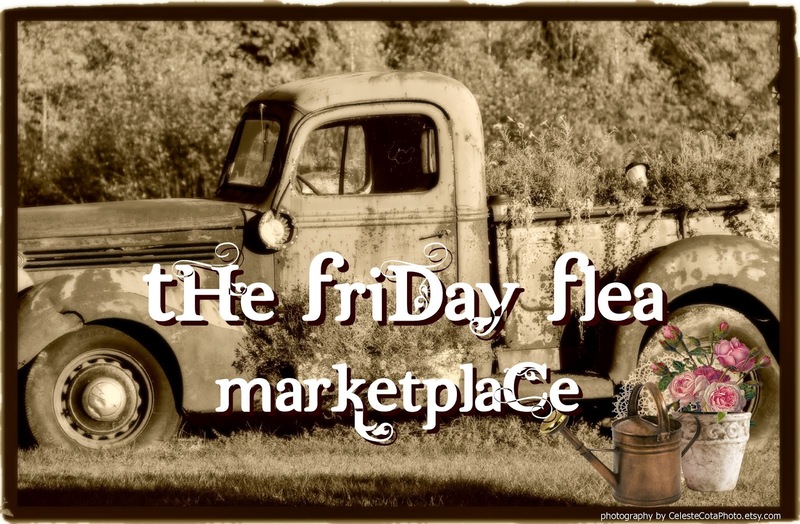 You can find the pieces at Antiques And Teacups or by clicking on the photos. I wanted to remind you all that the date to sign up for my drawing to celebrate our anniversary in Feb.26th. 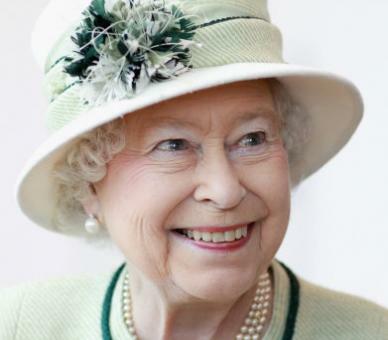 Click on the picture above to be taken to the post with the linky for the Queen Elizabeth II Crown Trent new Diamond Jubilee mug I will be doing a random drawing for. Cool! Here is another view of the mug. Everything that looks yellow is metallic gold, but it doesn't photograph well. I'll be adding the mugs to the shop next week. But the winner gets their's first! 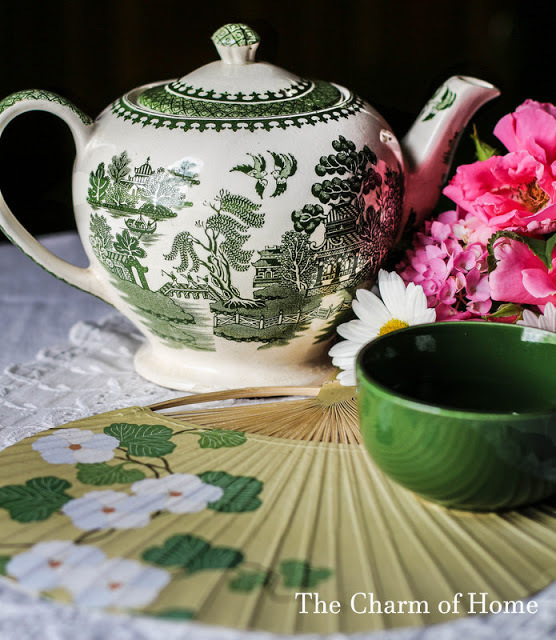 Have a great day visiting the other tea related blog parties below. There are a lot more! And all some fun and with such great things to share! I am amazed at the talented ladies out there! Talk about inspiration! 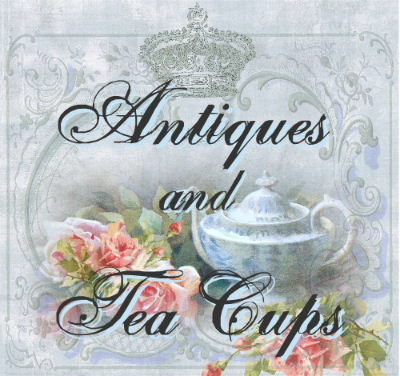 Hello ans welcome to my post for Teacup Thursday with Miss Spenser and Vintage Thingie Thursday with Coloradolady. 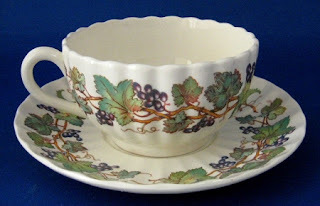 Because it's President's Day on Monday, I looked to see if I had something related to an American President and found this Spode, England cup and saucer. This pretty creamware cup and saucer was made by Spode in the 1970s as their contribution to the American Bicentennial. The design is called Monticello Vines and was a tribute to Monticello, the estate of Thomas Jefferson, which was known for it's vineyards. A nice show of support for the independence of the colonies...our English families said it was a great thing to get rid of the unruly colonies! And speaking of the colonies in relation to England, a reminder of the drawing I am having for a Crown Trent, England bone china mug for the Diamond Jubilee of Queen Elizabeth II. 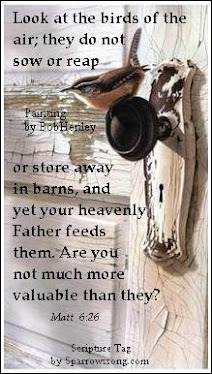 To enter, click on the logo below, read the info about the drawing, and enter your name in the linky. right across from the ferry dock and next to Parliament buildings. 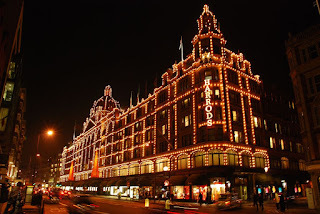 We plan to have afternoon tea, go see a Cirque du Soleil at IMAX, have a special dinner and hear for a favorite Canadian tea supplier's shop - Murchies. 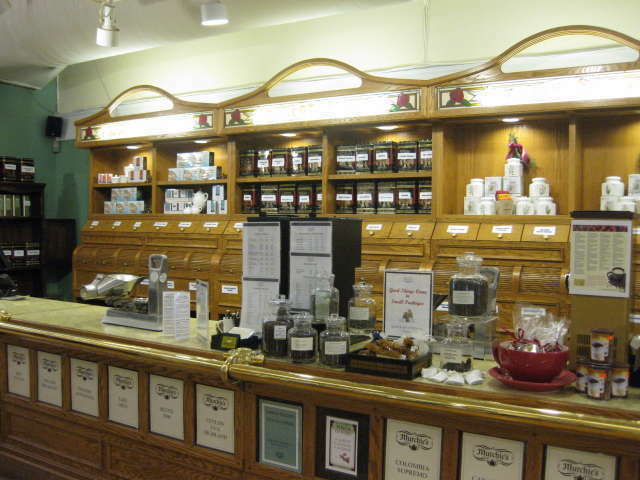 We will just miss the Victoria Tea Festival because it is this weekend, but we wanted to spend a special day on our anniversary itself. So I may be slow responding to posts...until we get back about noon on Friday. So have fun visiting the blog parties and I'll catch up with you later! Oh my goodness...so much going on...and need to be finished in time for Downton Abbey! This is my Tuesday Cuppa Tea Post. 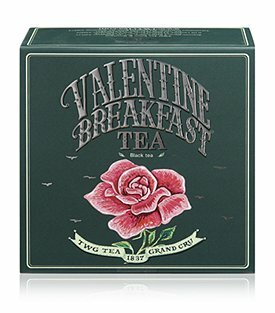 It's a bit early, but I am joining Sandi for her Valentine's Day Tea on Monday. 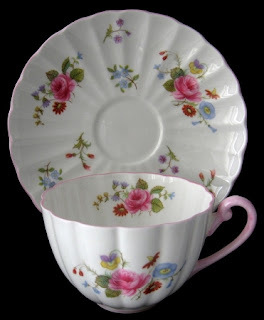 Here is my teacup for Tuesday Cuppa Tea. 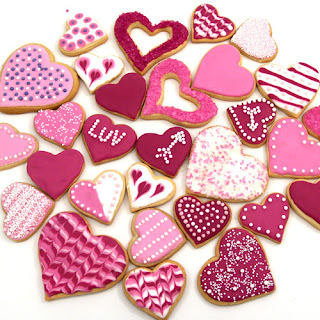 I sold all the Valentine and heart motif cups and saucers I had in the shop...including the one in last Tuesday's post just a few hours later to a blog follower! Whew! 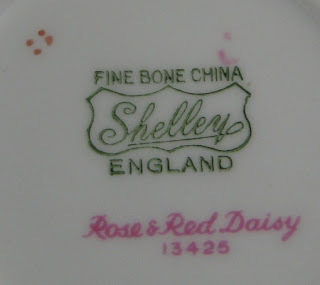 So ia ma sharing a Shelley China pink teacup in the Rose and Red Daisy pattern and the Ludlow shape from the 1950s. I just love the shape, and the dainty elegance of the design in Shelley's typical delicate bone china. 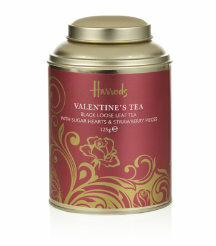 And to have with it for Valentine's Day...treats from Harrod's Department store in the Knightsbridge section of London. 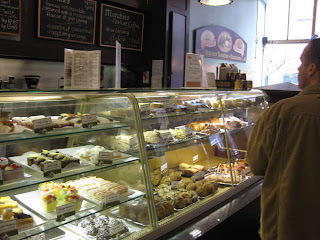 I LOVE their food hall! You can spend the afternoon there grazing and gawking and tasting! 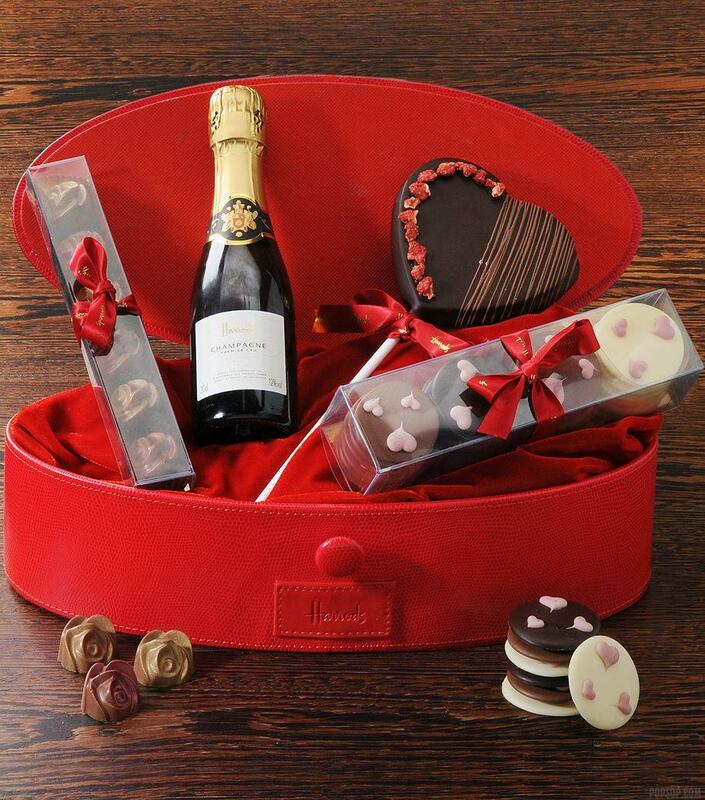 Valentine's signature red leather jewelry box with champagne, and chocolates. And all of these goodies? Between $20 and $100....without shipping! Such a deal!!! Okay...maybe it's too late for this year, but there's always next year! And now.....Taa Daa! I would like to introduce my giveaway! The 16th is our 38th wedding anniversary. So I thought to celebrate, I would do my very first blog giveaway...and I hope I do this right! and like us! We will use a random number generator and announce the winner with our Tuesday Cuppa Tea post for Tuesday, February 28th. The linky is at the bottom of the post after the other Tuesday tea related blogs I am joining.